One of the keys to successful weight loss is to start at the end. Imagine for a moment that you have already achieved your target weight and are maintaining it successfully. Imagine how you look in the mirror and to others, what it sounds like to get compliments from people around you and the sound of your voice filled with confidence about your new self, and how good it feels now that you have achieved the goal you set yourself. Once you can see all the benefits, and hear yourself saying that you can and will achieve this, how good does it feel knowing that this is in your future now? You often change items in your house, you redecorate, buy new furniture and so on. You may also change jobs, training, holiday ideas; in fact you may change many things. But it often surprises me that people don’t often think about changing the way they think, and yet this is critical to achieving the goals they set themselves. And it’s easy and can be a lot of fun too. The way we believe and our values in life define how we go about achieving our goals, and it’s important to update these values and beliefs from time to time as we grow and change, otherwise we may still be held to a past experience which no longer is true. Our values are defined around the age of seven, so they get more out of date as time passes by. Some values and beliefs will continue to be fine, but some may need adjusting. Imagine trying to drive to a location on the far side of the country, using only a map that was created in 1890, compared to one that was created this year. Take for example weight loss. This is a common activity these days. 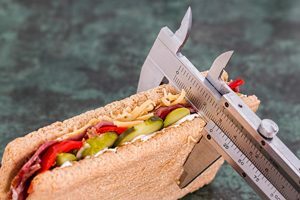 The easy formula is to make it so that the energy expenditure is greater than the energy intake, so the concept of eat less and exercise more seems simple enough, but in practice this may not happen for a number of reasons. Let’s call one of them limiting beliefs. If you believe you cannot lose weight then it is less likely to happen than if you believe you can. If you think you’ve tried everything and nothing works, then it may be harder to achieve the target weight than if you believe you can and will do it. And there is a process I go through with people that helps redefine such beliefs easily. Here’s a useful concept to consider on your weight loss journey. There is a basic equation which has cause on one side and effect on the other. If you are on the effect side then you may believe that you can’t do anything to help yourself lose weight, that you tried everything, that it’s too hard and many other reasons for why it is like it is. 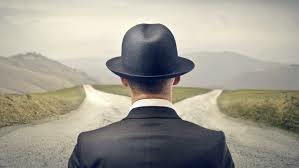 Once you get yourself over to the cause side, you realise that everything is a choice, and you have control over what you choose. Therefore you can change anything, with effort. This opens up a doorway to new possibilities, new understandings, and new strategies for achieving what you want. You actually choose everything, even if you never considered this before. You choose which side of your teeth you brush first, the order of which clothes you put on, the route to work, what you eat and how much and when, in fact everything. You have strategies for all these things, and you can improve the strategies over time. In order to achieve and then maintain your target with weight loss, you will have to make changes to your strategies. You will change what you eat, how much you eat, when you eat. There are lifestyle changes to be made too, maybe this starts with a walk round the block each day, and progresses to eventually joining a gym or going swimming. It also involves changing the way you think about food, exercise and your self. When you have achieved your weight loss target you will be thinking differently, so why not begin by thinking differently and allow that to help you achieve your goals quicker and easier? Start by doing what I suggested in the first paragraph and build a really clear picture of the goal you are setting for yourself. For more information about my weight loss program see here or contact me now to discuss how I can assist you in achieving your goals. It is important to know how to go about creating the future easily. Knowing what a S.M.A.R.T. goal is and creating one are quite different. I have spoken with many people who ‘know’ what a S.M.A.R.T. goal is, but when they state a goal it is clearly not S.M.A.R.T. For example, I heard someone say they ‘want to be able to…’ The problem with this sentence is that you can always want to be able to.. As you slide forwards through time, the wanting to will also slide forwards. The result is that you can always want to be able to.. It doesn’t set the achievement in terms of successful completion of the task. What is a S.M.A.R.T. goal? A S.M.A.R.T. goal is defined as one which takes into account all the following criteria. Measurable – You need to know the evidence procedure. How will you know when you have achieved that goal? What will you see, hear, feel? Achievable – It needs to be achievable by you. You may find achieving the goal a stretch, but it’s defined well enough so it’s possible to achieve it. There will likely be a big picture goal statement, but this will chunk down into smaller goals which are achieved along the way. Realistic – There may be consequences of achieving a goal, for friends and family (and indeed society and planet), as well as self. Is it ecologically realistic to achieve the goal? Timed – This is a critical component. You must make sure it is fixed in time so it doesn’t constantly slide forward along the time line. You need to state S.M.A.R.T. goals in the present tense, as if already achieved. Sometimes a company has to produce a statement of intent towards certain tasks being completed by a certain date. This would be an exception to the present tense rule. You need to know the LAST thing that has to happen so you know you have got it. this can be different for different people, even if it is about the same event. If there are multiple goals you need to work on each one individually, and work chronologically through them all. Whether it is a professional or personal goal, it is important to set a S.M.A.R.T. goal. Each member of a company can have their own goals, which contribute to the larger goals of the company. It ensures that there is good communication between employers and employees and supervisors, so there are no surprises during annual performance evaluations. It is just as important for personal goals. When you have targets, clearly defined and set in time, you have the perfect way to self assess the rat of development and achievement along the way. Realising how much you are achieving along the way gives impetus to continue to set new S.M.A.R.T. goals, to review and adjust others as necessary, and to keep you accountable towards the life you want to achieve. What specifically do you want? Where are you now in this? What will you see, hear and feel when you have it? How will you know when you have it? What will this outcome get for you or allow you to do? Does it depend only on you? Where, when, how and with whom do you want it? What do you have now and what do you need to get to your outcome? Have you ever had this before? Do you know anyone who has? For what purpose do you want this? What will you gain or lose if you have it? What will happen if you get it? What won’t happen if you get it? What will happen if you don’t get it? What won’t happen if you don’t get it? If you follow this simple pathway to creating your future you will have a solid platform from which to leap. Presenting goal – “I want to make £20,000 quickly”. This was goal from one of my clients. Now I pointed out that it’s possible to achieve this goal very quickly, but the method might not be legal or morally acceptable! Achievable but not very realistic for him. So when specifically would you like to achieve that goal? The answer was by the end of the year. So the initial goal becomes “It is December 31st 2017 and I have made £20,000”. Now I ask would it matter if it cost £30,000 to make the £20,000? Of course it would. So it’s not making £20,000, it’s having £20,000 in the bank account at the end of the year. This is measurable now because the client could look at the bank account online and see the money is there on the day. In fact he was going away on holiday and might not be able to see the online account on December 31st, so it was reset to December 29th, before he left. So now the goal is “It is December 29th and I am looking at my account online and I can see that there is £20,000+ in the account today”. This now fulfils all the component criteria for S.M.A.R.T. goal status. This is the answer to the first and fourth question in the list above. The rest of the questions fill out the goal and make it more solid by stating how they’ll feel, what it will do for them or allow them to do and so on. If you are following this through and finding the last four questions a stretch – good! It takes some time for people to get their heads around those last four questions. On my trainings I go into those four questions in some detail. What is it that you want to achieve? Have you broken it down into a series of S.M.A.R.T. goals that you can process easily yet? What’s the very last thing that has to happen in order for you to know that you have achieved that goal? When did you decide to go for it now? 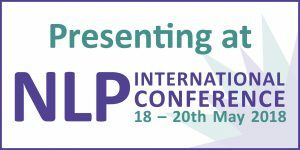 I am excited to be presenting at the ANLP Conference next year on 20th May. The timing feels right. Over the last 20 years I have got used to the skills of NLP. I employ them in my everyday life consistently, gaining great results along the way. This is not only down to the techniques and applying them, but also by being sensitive to the environment around me. This is so I can identify and take action on opportunities as they arise. I believe you need to cultivate a certain state and attitude to succeed. Most seminars on creating your future talk about ideas, concepts, possibilities, but not a specific process through which to achieve those possibilities. So it remains interesting intellectual information. ‘Creating Your Future® Coaching Techniques’, however, gives you the specific process of HOW to change your unfulfilled dreams into actualising your true wishes and expectations. Last year also brought me new opportunities. I became a certified Trainer of Time Line Therapy®, and I realised that time is such an important element in creating the future. Time is also key to letting go of unwarranted emotional triggers, old behaviours, beliefs and decisions. This allows us to live more fully in the present, and head towards the future we’re creating with clearer vision. It is around this idea that I will be presenting at the ANLP conference. I have been researching the structure of language and consciousness for most of my life. Through this, I have been learning how to become more and more aware over time. I have learned how to observe emerging states, and the moment-to-moment continuity of consciousness. Many people have written about this experience, for thousands of years, across all cultures. Within this simplicity lies the emerging reality I create for myself. I am the observer of my reality, I am the cause of what I observe. I understand the all perception is projection, and that I can change the projection. For me, creating the future is about combining several threads into the weave. Using Time Line Therapy® the past is cleared of the things that held me back. This includes negative emotional reactions, limiting beliefs and decisions made, and old patterns of thought and behaviour. This reclaims my life and allows me to stay in the present for increasingly longer periods of time. Then, in order to set the goals, I have to identify what really matters. S.M.A.R.T. goals are essential to create the future you desire. There is a specific technique which can be employed for placing goals on the future time line, so they come true. So that takes care of the past and the future, but what about right now? This is the element I observe most people neglecting. According to Dr. Deepak Chopra, my Unconscious Mind is eavesdropping on every thought, every word, and instantaneously bathing every cell in the body with neurotransmitters. This in turn affects my physiology and state, and thereby affects the behaviours I generate outside. So I do my best to attend my consciousness, to attend my thoughts and to attend my words when I speak. I am aware that I can alter my own programming by consistently working with what emerges and giving my Unconscious clear and consistent instructions for what I want to be achieving in life. The fastest path to my authentic success lies in working with this element. Right now everything exists that is possible to exist. Right now all the opportunities I could need to discover are around me. If I’m busy thinking old habitual thoughts, or revisiting the memories of the past, I am missing the present and any opportunities on offer. Instead of that, I am enjoying my journey towards the future I desire, and concentrating on being successful right now with the things I can succeed in. On 20th May 2018 I will be unpacking how I do this at the ANLP conference. It is easy to learn, easy to utilise and easy to know exactly what to do next. For more details of conference and to book tickets see conference website. ‘Creating Your Future® Coaching Techniques’ is a registered trademark belonging to Tad James. Used with permission. Last week I certified new Practitioners in NLP, NLP Coaching, Time Line Therapy® and Hypnosis, in an 8 day, intense but enjoyable course. I’m very proud for the new Practitioners, they showed great determination and focus, diligence in absorbing the theories, performing the skills, and changing their lives positively. They will be a real asset to the clients they have. I believe in the highest-level quality of training for my students and clients, and that’s because I had that level of support myself from the best teachers in the World. I strive for excellence in everything I do. I will encourage you to strive for excellence too. As a student your preparation work includes reading at least two required books, listening to 20 hours of audio material, carefully studying the training manual, and taking a pre-study test, totaling around 80 hours of work. Of course I recommend further reading, and that the audio is listened to multiple times! My own preparation work is just as thorough. For this course I reviewed the manuals from all my courses and the notes I made, reread the same required books as my students, and listened to the audio. I also watched a further 30 hours of DVDs. I then took the approximately 200,000 words of transcribed audio and turned it into ‘4-mat’ – the teaching approach created by Bernice McCarthy. It is favoured by educational establishments Worldwide, to provide a superior learning experience for my students, as it addresses the four different learning types. I then then distilled all this into a day-by-day, segment-by-segment delivery format. The whole process took months of consistent daily work. The eight days gave the students a total of 72 live training hours. There was another 7 hours of personal practice time, and around 14 hours of homework, giving them a total training of 148 hours. This is over the 139 minimum requirements for certification with the three bodies – the American Board of NLP, The American Board of Hypnotherapy and the Time Line Therapy® Association. I prefer to teach in small, intimate groups. This is so I get to know you extremely well during the week, can monitor your learning thoroughly, and assist you in accelerating your personal development in a way that would simply not be possible in larger groups. And that’s just the beginning, as I offer a lifetime commitment towards your further development, with ongoing support. The 8 day NLP Practitioner certification training is the perfect way to learn NLP and take your life to a whole new level. During this training you will discover simple but powerful techniques for continually improving your life and achieving the goals you set for yourselves and others. We use this to keep you informed of special offers and seminars. We absolutely do not pass on details to third parties.